"Satisfied client is the only path for creation of global enterprise"
"QUALITY is not the end destination. It is the journey to the end destination." 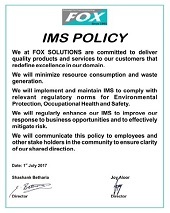 The PURPOSE of FOX - QUALITY procedures is to make our deliverables On - Time, Reliable, Flawless and of World Standard. 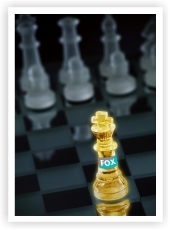 The FOX - QUALITY procedures have evolved over the years and are omnipresent in not only the deliverable streams but also in all support streams within the world of FOX. The Quality Assurance Procedure Manual is followed for every delivery of user software and electrical boards.